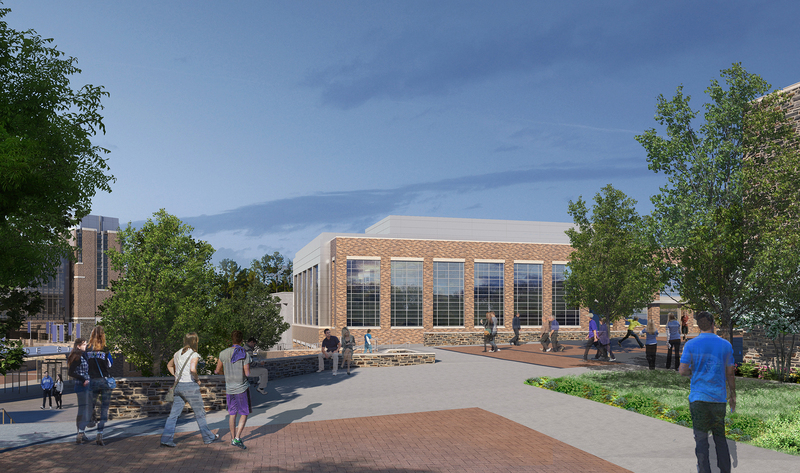 The Scott Family Pavilion Addition increases the size of Duke’s weight training and physical training areas. Designed and built by Beck, the pavilion features an Olympic sports weight room and training room and increased locker room space. It will also house a new ticket office, team store, space for marketing and promotion, as well as support and other administration areas, including compliance, sports information, business development and technology. The renovated Murray Building includes an expanded sports medicine center with additional hydrotherapy pools and treatment areas, and a new home for the Iron Dukes office.